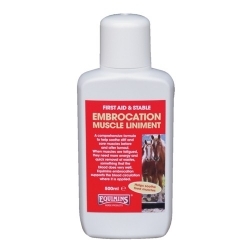 A comprehensive formula to help soothe stiff and sore muscles before and after turnout. When muscles are fatigued, they need more energy and quick removal of wastes, something that the blood does very well. Equimins embrocation supports the blood circulation where it is applied. Use on legs and joints, shoulders, back and loin as necessary. For quick results you can apply a hot sponge first, this helps to open up the pores of the skin, and then massage Embrocation in. 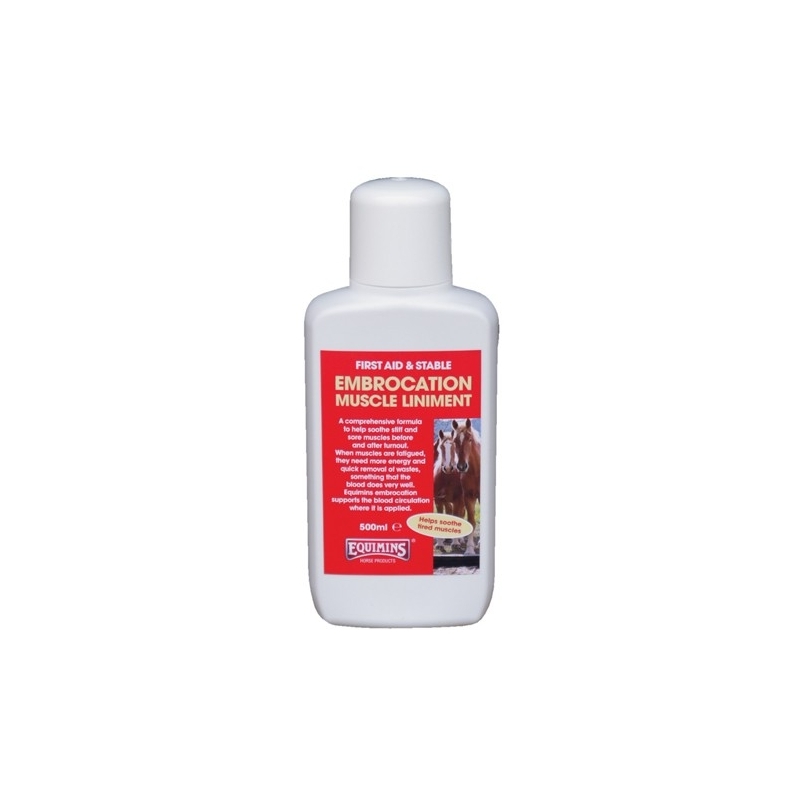 You may apply Embrocation several times a day if it is felt to be necessary. Mix 1 capful (approx. 50ml) with a 450ml mixture of water and a little vinegar. Keep bottle in a well ventilated place. In case of contact with the eyes, rinse immediately with plentiful amounts of clean fresh water, seek medical advice if necessary.